Multi-time National Champion Mike Steidley is one of the most accomplished and prolific Stunt Riders in North America. Steidley’s accolades include 12 National Championship Titles, 16 Regional Championships, representing the USA on 7 World Championship teams, and the highest ranked U.S. rider at the inaugural Red Bull Bike Battle. Steidley holds a key to the city for his cycling achievements and also is the record holder for the most individual gold medals in the history of the sport for the USA. 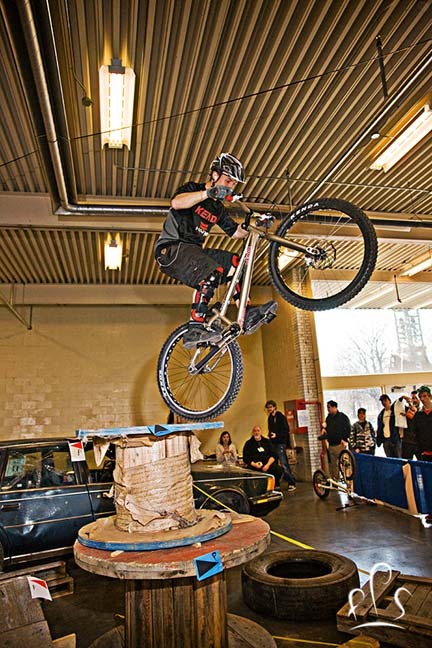 Mike Steidley travels extensively throughout North America, Europe, and Asia with his portable Stunt Show that incorporates the elements of Trials, Street/ Park, and North-Shore style riding into an action-filled, high-energy performance. His shows have been feature entertainment on the high-profile Vans Warped Tour, the VW Major Motion Picture Tour, and at City Center Las Vegas showcasing his captivating skills to thousands. Furthermore, Steidley has appeared on MTV, Fuel, the Discovery Channel Show “Time Warp,” and in multiple mountain bike films and videos.